Here is another quality product by Flymall.org. Vintage European license plates or tags. We have teamed up with several local providers to offer quality vintage license plates or tags for your vintage car or motorcycle. Please contact us for pricing and details. We can include a logo as seen in the example. On vintage motorcycles these are commonly known as pedestrian slicer number plates. 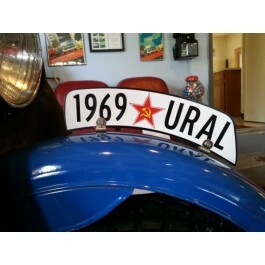 Tags: Vintage motorcycle tags, vintage European license plates, vintage European number plates, uralparts, Uralparts. The team at Flymall.org has teamed up with several local resources to provide quality vintage license plates or tags.